On Sunday, April 12, twenty of New England’s finest chefs and more than 800 lamb lovers will gather at The Royal Sonesta Hotel to kick off the sixth annual Boston Lamb Jam Global Flavors Tour, the annual multi-city culinary cook-off where attendees decide which chefs have earned their “chops” by voting on inspirational American lamb dishes. People who received restaurant gift cards this holiday season can put them to good use during Providence Winter Restaurant Weeks, January 11-24. Diners will be able to choose from about 80 restaurants offering three-course, prix fixe lunches for $14.95 and three-course prix fixe dinners for $29.95 and $34.95. This year, the PWCVB is partnering with the Girl Scouts of Southeastern New England to promote their annual cookie sale. Some restaurants will be offering cocktail and dessert specials that incorporate popular Girl Scout cookie varieties. Reservations for each restaurant may be made online at -www.ProvidenceRestaurantWeeks.com (unless otherwise noted) or by calling the restaurants directly. Restaurants participating in the Girl Scout promotion and their special creations are also noted on the website. 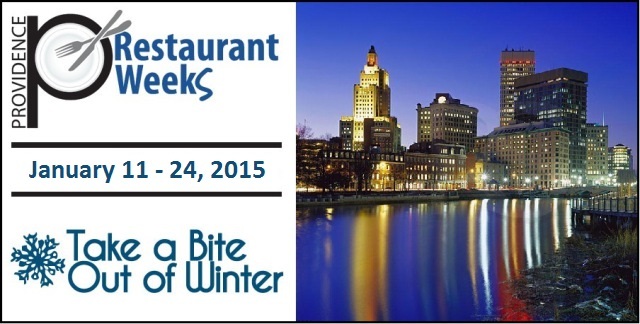 Providence Winter Restaurant Weeks are sponsored by Taco, Navigant Credit Union, Yuengling Beer and the Providence Warwick Convention & Visitors Bureau. Now officially open to the public, we are excited to announce the Grand Opening of Red Stripe in East Greenwich, their 2nd location in Rhode Island. A true American Brasserie, this warm and inviting restaurant offers a modern take on a French café with an assortment of upscale comfort foods for any occasion, appetite or palate. At Red Stripe, you can expect all of your favorite comfort food with a homey, yet elegant twist. Whether you choose the recently expanded Wayland Square location in Providence, designed by award winning interior designer Judd Brown, or the new Main Street location in the historic downtown area of East Greenwich, there’s no doubt you are in for a treat. This past weekend, Chef Nemo Bolin of Cook & Brown Public House earned “Best in Show” at the annual Boston Lamb Jam competition, besting 20 other top chefs from the region. Sponsored by the American Lamb Board, the event drew more than 500 hungry fans to the Royal Sonesta Hotel for an American lamb cook-off. PROVIDENCE, RI – Showcasing the best of the ever-expanding Rhode Island culinary scene, the Eat Drink RI Festival is returning to Providence for an expanded four-day all-local food festival. 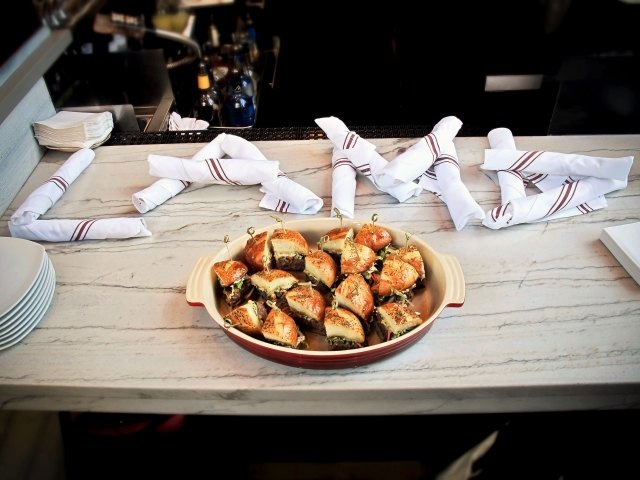 Taking place Thursday, April 24th through Sunday, April 27th, the Festival, now in it’s third year, will be held throughout downtown Providence, which was named among the best small cities for restaurants and dining in the world in Saveur magazine’s 2013 Culinary Travel Awards. The Eat Drink RI Festival will feature a star-studded line-up of over 80 chefs, farmers, bartenders and producers including: James Beard Foundation Best Chef Northeast semifinalists Benjamin Sukle of birch and Champe Speidel of Persimmon, eight top culinary instructors from Johnson & Wales University, Gold Medal Cheese award-winning Narragansett Creamery, Blackbird Farm, two-time James Beard Foundation Rising Star nominee Chef Derek Wagner of Nick’s on Broadway, Easy Entertaining Inc., Good Food Award winner Daniele Inc., Dave’s Coffee, Walrus and Carpenter Oysters, among many others. In the meantime, we were lucky enough to be invited to a Pre-Lamb Jam Dine-Around for a small taste of what to expect at this year’s festivities. The day started at Rialto for a cooking demonstration and 3-course lunch. Next, we watched a masterful butchery demo at Formaggio Annex. Our final stop led us to Tavern Road for an American Lamb Happy Hour prepared by Chef Louis Dibiccari. Click the link below for a fun photo recap our lamb-packed day. A special “thank ewe” to everyone involved and we can’t wait to officially kick off Lamb Jam at the Royal Sonesta Hotel on April 13th! 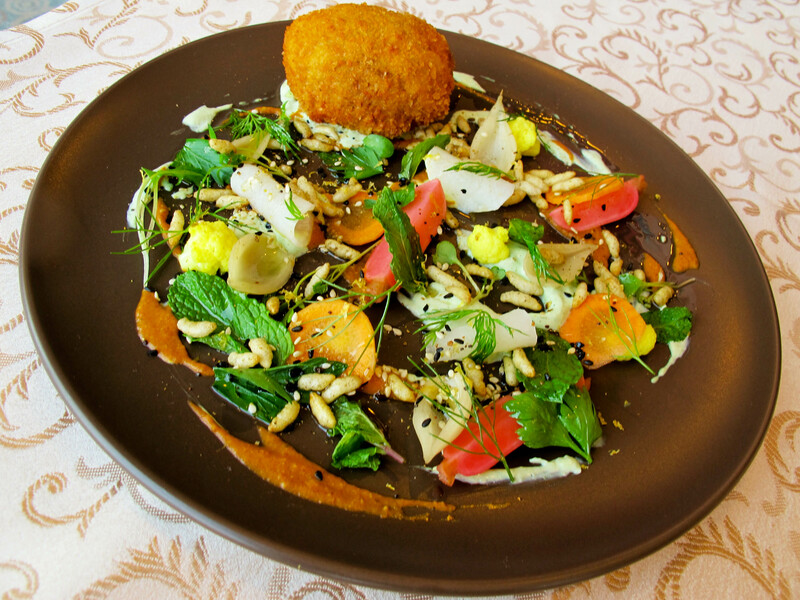 PROVIDENCE, RI– StarChefs.com™, the award-winning restaurant industry trends magazine, announces its 2014 Coastal New England Rising Stars Awards, honoring up-and-coming chefs and culinary professionals, who represent the vanguard of the contemporary American dining scene. From Portland, Maine and Dover, New Hampshire to Cape Cod and Rhode Island, the StarChefs.com team visited more than 150 chefs and artisans across 25 cities and small towns. The winners will be showcased at the StarChefs.com Rising Stars Gala on Tuesday, April 15, at the Providence Biltmore Hotel, beginning with an awards ceremony at 6:30pm and followed by a tasting gala from 7pm to 9:30pm. The walk-around tasting gala will give attendees the opportunity to experience 20 of Coastal New England’s top chefs and restaurants with beverage pairings and cocktails by the winning sommelier and bartenders, in one location for one night only. “With its vibrant, close-knit professional culinary community, Providence (and greater Rhode island) is a fitting host for this celebration of the region’s next generation of market leaders,” says Will Blunt. General Admission is $95 per person. VIP tickets are $125 and include a private VIP reception with Champagne and Petrossian Caviar, beginning at 5:45pm. A portion of the evening’s proceeds will go to Rhode Island Community Food Bank, a nonprofit that provides food to people in need and promotes long-term hunger solutions. Tickets can be purchased at www.starchefs.com/risingstars.